Foodie cheese-makers have created what they hope will be an indulgent addition to your Christmas menu -- a Stilton cheese made of real gold. 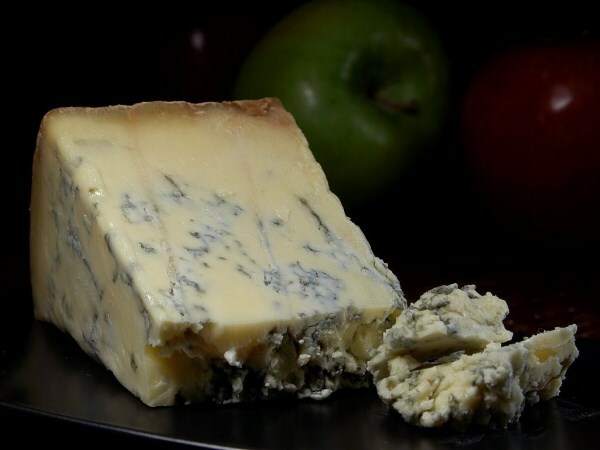 Clawson Stilton Gold will sell for £60.87 per 100 g. slice, or £608 a kilo. (almost 1,000 US Dollars) -- that's 67 times more pricey than regular Stilton. Taking the title of the most expensive UK cheese ever made, it would even cost £6 just for the cheese to top one cracker. Clawson says that the premium white Stilton is so expensive because it's shot-through with a combination of real edible gold leaf and real gold liqueur. They claim to have already been contacted by a Gulf-based oil sheikh and a famous pop star desperate to sample a piece of the unique cheese. Costing $1700 a pound, this cheese is made at the Zasavica Special Nature Reserve in Belgrade, Serbia (Pule being Serbian for foal). The reason for its price? Donkey's milk. 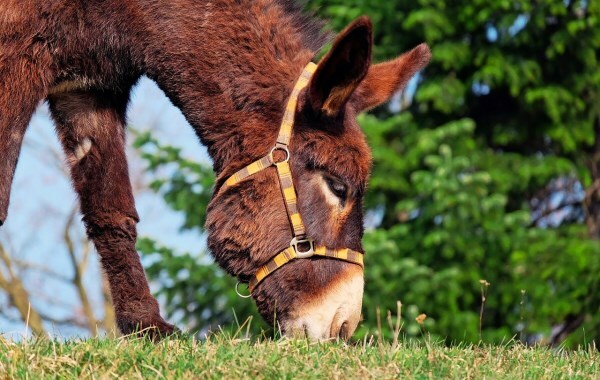 It takes about 25 liters of donkey milk to make one kilogram of the cheese, which is white and crumbly. No other special ingredient goes into making the smoked cheese, according to the dairy's manager. Its value is purely based on the going rate for the milk (around 45 dollars a liter). That said, pule isn't produced commercially, so even if you're a billionaire, there's no point in rushing over to your local cheese shop to try to buy a slice. One of Napoleon's favorites, Epoisses is definitely one of the smelliest cheeses you can find. Just so you get an idea of its repulsive odor, you should know that Epoisses has been banned from public transportation vehicles all over France. 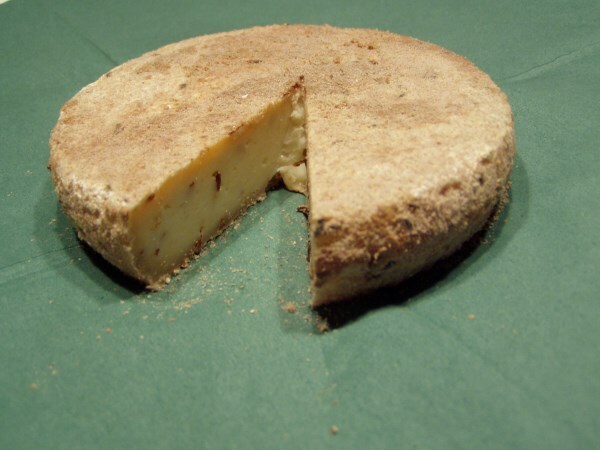 It is made from raw cow's milk and its rind is washed with pomace brandy. 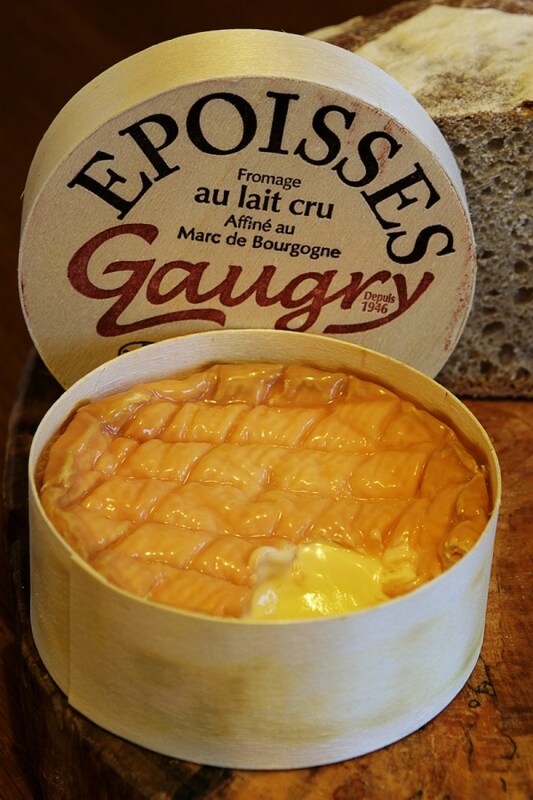 Epoisses is a very smelly, runny cheese but if it starts to smell too strongly of ammonia, you should throw it away because it's no longer edible. If it smells like someone who hasn't showered in a week, enjoy! 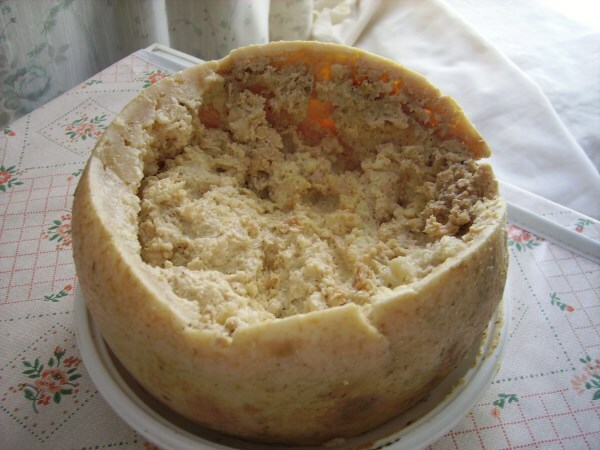 Casu marzu is a sheep cheese popular on the Italian island of Sardinia. The name means "rotten cheese" or, as it is known colloquially, "maggot cheese," since it is literally riddled with live insect larvae. To make maggot cheese you start with a slab of local sheep cheese, pecorino sardo, but then let it go beyond normal fermentation to a stage most would consider infested decomposition (because, well, it is). The larvae of the cheese fly (Piophila casei) are added to the cheese, and the acid from their digestive systems breaks down the cheese's fats, making the final product soft and liquidy. By the time it is ready for consumption, a typical casu marzu contains thousands of larvae. Locals consider it unsafe to eat casu marzu once the larvae have died, so it is served while the translucent white worms, about one-third of an inch long, are still squiggling. Some people clear the maggots from the cheese before consuming it, while others do not. Those who leave the maggots may have to cover the cheese with their hands—when disturbed, the maggots can jump up to six inches. Producing over 1.8million tons of 400 odd varieties of cheese annually certainly makes Germany a cheese powerhouse. Amongst all that dairy however, one particular cheese produced in Würchwitz happens to stand out from the rest due to its unusual production process that makes it a highly sought after delicacy. Milbenkäse is a cheese made by allowing quark to sit amongst thousands of dust mites that transforms the cheese into a highly desired delicacy. The mites excrete an enzyme that ripens the cheese; after one month the cheese turns to a yellowish color, after three months it turns reddish brown, and after a year the cheese turns to a blackish lump, which is desirable to some aficionados. 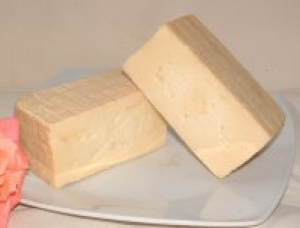 The flavor is characterized as being bitter; it is also suggested that the cheese may have curative effects that keep the people who consume it non-allergic to house dust. The mites are consumed along with the cheese. 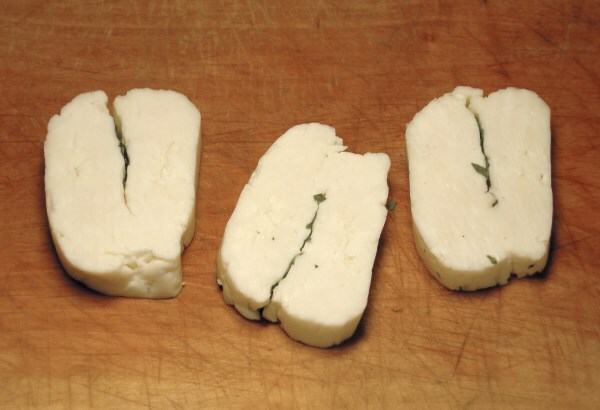 Halloumi is a traditional cheese from Cyprus, an island in the Mediterranean Sea. Halloumi cheese has a higher melting point than other cheese which makes it suitable for grilling and frying. You won't find any BBQ in Cyprus without the use of halloumi. It is also very common to eat halloumi together with watermelon in warm months. The juicy slices of the watermelon are quite refreshing while the slices of halloumi give the delicious taste. Halloumi is also one of the dishes that are usually served within a Cyprus Meze and very often you also will see a few slices of halloumi accompanying a cold beer ordered in a taverna. The Teddington Cheese, a British cheesemonger that sells cheeses from around the world, awards only a few the euphemistic label "pungent." The true meaning of this epithet is indicated by the fact that the icon for these varieties is a man in a gas mask. If you asked them which is the strongest cheese in the shop, Vieux Lille would be a good contender for the super-heavyweight crown. With a pungent odor and strong salty flavor, this cheese is certainly not for the faint-hearted. The alternate names of "Puant de Lille" and "Puant Macéré" are a little more descriptive, the latter being literally translated as "stinking pickle."